Don’t believe in luck this St. Patrick’s Day? 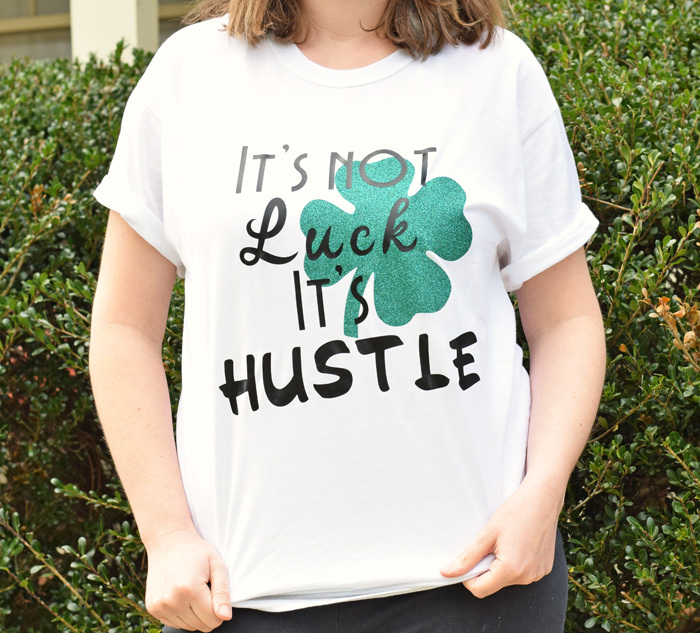 Then this “It’s Not Luck, It’s Hustle” DIY shirt made with the Cricut is the perfect one for you! 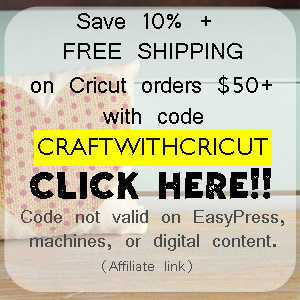 This post contains affiliate links, which add no extra cost to the consumer, but, when purchased through, help support this site to bring additional Cricut tutorials. Do you believe in luck? Unless we are talking about winning the lottery, I’m not one to ascribe very much in life to luck. I’ve never achieved anything significant through luck; it’s been more hard work and hustle than anything else. 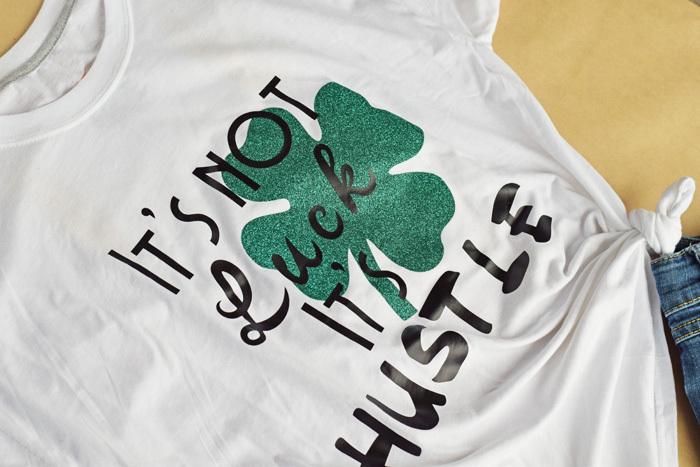 If this is you, too, then I have the perfect shirt to make for St. Patrick’s Day. 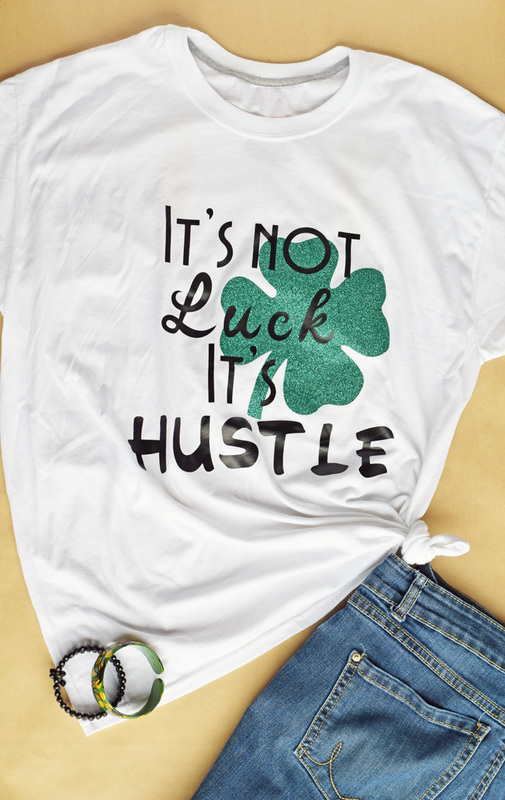 This DIY “It’s Not Luck, It’s Hustle” shirt only takes a few minutes with the handy, dandy Cricut machine, and you’ll be St. Patrick’s Day ready– luck or not. If this is your first Iron-on Shirt design project, please see my post on “How to Get Iron-on Projects Right the FIRST Time” before beginning this project. 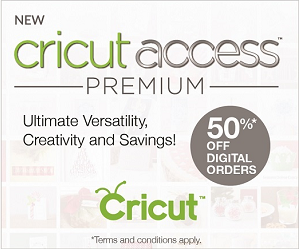 Open Cricut Design Space. 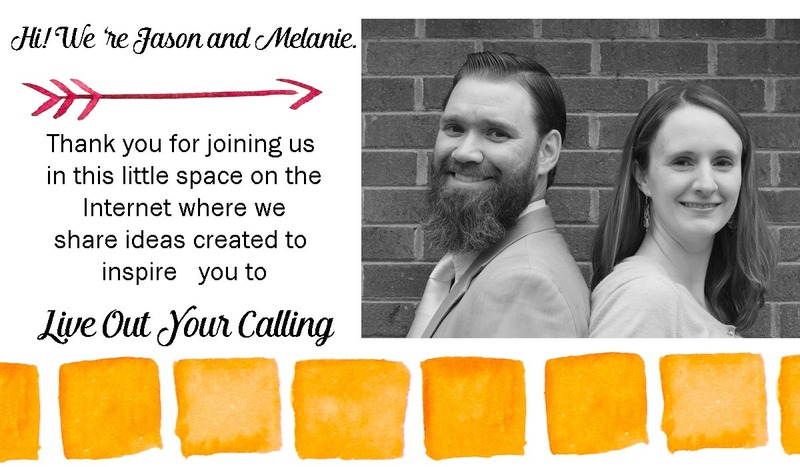 Click here to use my Cricut Design Space file. Measure the front of the shirt in the area where you will be placing the design. I am using a size Medium shirt. 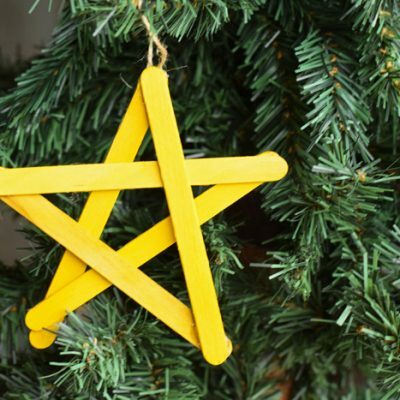 The design is about 12″ by 12.” Customize the design to make larger or smaller. 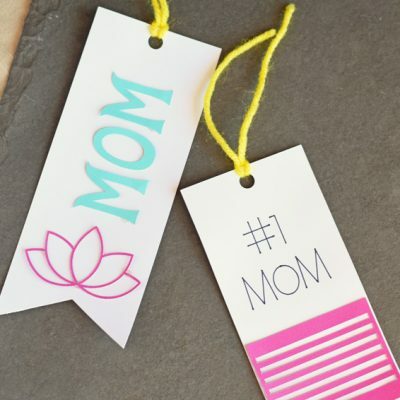 Cut the design with the Cricut machine, making sure that you mirror the image before cutting. Weed the design. The tools in the Basic Tools set will help with this if you have them. Using the home iron, EasyPress, or heat press, adhere the design to the shirt. To layer the vinyl, press the green clover to the shirt first. Peel the shiny liner off of the clover. Place the black wording on the shirt, layering it over the clover as desired. Press. Remove liner. See this post for more guidelines on adhering Heat Transfer Vinyl. Do you have any other St. Patrick’s Day shirts that you have made with your Cricut? I may not be feeling lucky, but I enjoy seeing St. Patrick’s Day shirt ideas made with the Cricut. 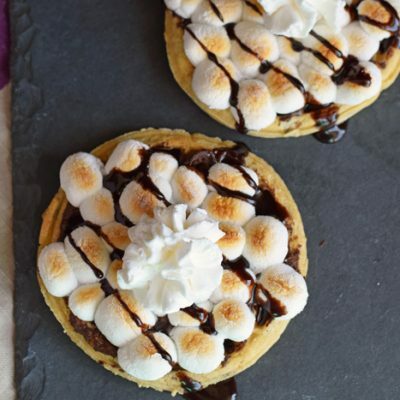 Feel free to share them on my Facebook page. 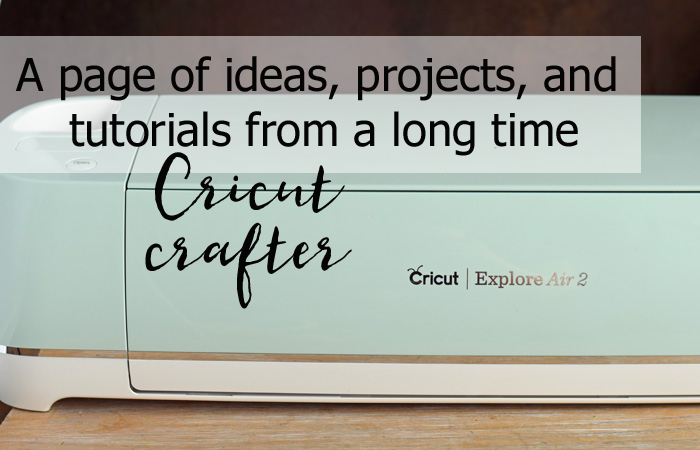 If you are looking for more Cricut tutorials, tips, and ideas, check out my Cricut Project page.